Distell stole the show at the 2016 Veritas Awards, South Africa’s foremost wine and brandy competition, tonight (Friday 07 October). The mega-producer’s winning wines reaped 2 Double Gold and 12 Gold medals. Spier was the closest contender in the medal stakes with 2 Double Gold and 7 Gold. Rustenberg and Flagstone shared third place in the medal rankings with 2 Double Gold and 1 Gold award each. In the category for fortified wines, Nuy lead the medal innings with 1 Double Gold and 3 Gold. 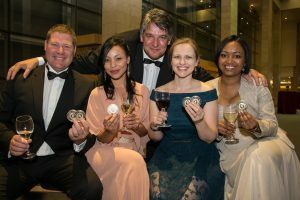 Boplaas and KWV each won 1 Double Gold and 2 Gold awards. Distell also triumphed in the brandy category with 4 Double Gold and 8 Gold medals. KWV was awarded 1 Double Gold and 3 Gold medals. Best Performer by Entry title went to Flagstone in the category for 10 wines or less, whilst Distell also triumphed in the class for more than 10 wines. Four wine industry luminaries – Giorgio Dalla Cia, Nico Retief, Wynand Retief and Lourens Smith – received the Living Legends scroll of honour in recognition of their invaluable contribution to the South African wine and brandy industries. The Veritas gala dinner, held at the CTICC, was sponsored by Agri-Expo with celebrity chefs Garth Stroebel and Henrico Grobbbelaar adding their culinary flair to the feast prepared by Warwick Thomas executive Chef of CTICC. A total of 30 Double Gold and 130 Gold medals were awarded to winning wines. Distell won a pair of Double Gold medals for Fleur du Cap Unfiltered Sauvignon Blanc 2015 and Nederburg Private Bin Eminence NLH Muscadel 2012. Spier scooped Double Gold medals for Spier 21 Gables Chenin Blanc 2014 and Spier 21 Gables Pinotage 2014. Flagstone was awarded Double Gold for Flagstone Treaty Tree Reserve Sauvignon Blanc/Semillon 2015 and Flagstone Music Room Cabernet Sauvignon 2013. Rustenberg won Double Gold medals for Rustenberg Buzzard Kloof Syrah 2013 and Rustenberg Five Soldiers Chardonnay 2014. 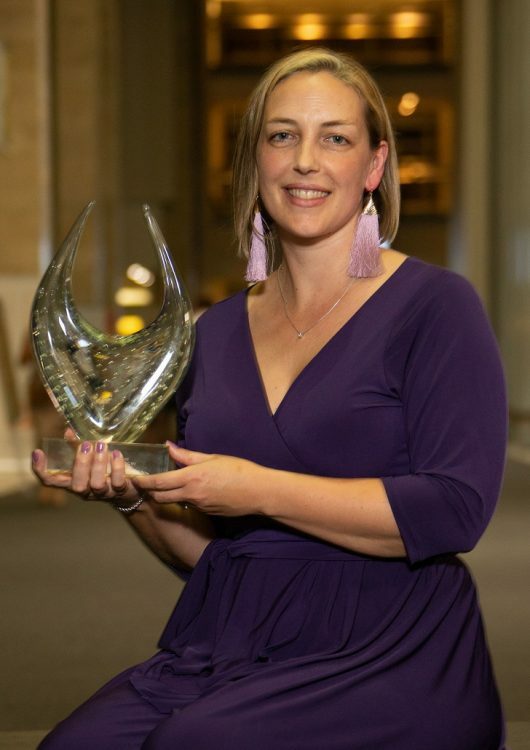 The following 21 producers won 1 Double Gold each: Anura, Buitenverwachting, Cederberg Private Cellar, De Grendel Wines, De Wetshof Estate, DGB Boschendal, Ernie Els Wines, Goedverwacht Landgoed, Jordan Wine Estate, Kleine Zalze Wines, Lomond, Longavi, Neethlingshof Estate, Neil Ellis Wines, Peter Falke Wines, Rooiberg Winery, Tokara, Van Loveren Family Vineyards, Villiera, Vondeling Wines and Wellington Wines. A total of 3 Double Gold and 21 Gold medals were awarded to the top fortified wines. The winning Double Gold trio are: Boplaas Cape Tawny Vintner’s Reserve Bin 1880 NV, KWV White Jerepigo 1933 – one of the oldest wines in South Africa – and Nuy Red Muscadel 2010. South Africa’s leading brandy producers garnered 5 Double Gold and 16 Gold medals. Distell scooped 4 Double Gold medals for Fight of the Fish Eagle Natural Brandy, Richelieu 10 Year Old Vintage Brandy, Van Ryn’s 12 Year Old Distillers Reserve Brandy and Van Ryn’s 15 Year Old Fine Cask Reserve Brandy. KWV was awarded Double Gold for the Laborie Alambic 15 Year Potstill Brandy. The Veritas Awards attracted 1 760 medal contenders this year. The five most fiercely-contested categories in terms of entries received, were: Red Blends (227), Sauvignon Blanc (182), Shiraz (167), Cabernet Sauvignon (142) and Chenin Blanc (131). A total of 39 brandies were entered in three categories: Standard, Potstill and Vintage. In total, 1 317 medals were awarded – 38 double gold, 167 gold, 484 silver and 628 bronze. Sauvignon Blanc was the top scorer in the Double Gold medal stakes with 7 awards, followed by Potstill Brandy (5), Other Red Blends (4), Cabernet Sauvignon (3), Pinotage (3), Chardonnay (wooded) (2), Méthode Cap Classique (2), Shiraz (2), Bordeaux Style (1), Cape Ruby/Tawny/Vintage (1), Chardonnay (1), Chenin Blanc (wooded) (1), Merlot (1), Museum Dessert White (1), Museum Red Wine (1), Natural Sweet White, Blanc de Noir or Rosé (1), Red Muscadel (1) and White Blend (wooded) (1). In the Gold medal stakes, Potstill Brandy and Shiraz won 13 medals each, followed by Sauvignon Blanc (12), Cabernet Sauvignon (9), Other Red Blends (9), Bordeaux Style (8), Museum White Wine (8), Red Muscadel (7), Chardonnay (wooded) (6), Chenin Blanc (wooded) (6), Merlot (6), Pinotage (6), Méthode Cap Classique (5), White Blend (wooded) (5), Cape Ruby/Tawny/Vintage (4), Chenin Blanc (4), Dessert Wine (3), Museum MCC (3), Natural Sweet White, Blanc de Noir or Rosé (3), Noble Late Harvest (3), Pinot Noir (3), Standard Brandies (3), White Muscadel (3), Cape Blends (2), Chardonnay (2), Museum Noble Late Harvest (2), Museum Red Wine (2), Other Cultivars (2), Sauvignon Blanc (wooded) (2), Cape Full Cream Dessert Wine (1), Colombar (1), Malbec (1), Méthode Cap Classique Rosé (1), Museum Cape Ruby/Tawny/Vintage (1), Museum Dessert Red (1), Museum Dessert White (1), Noble Late Harvest (wooded) (1), Other Cultivars (wooded) (1), Red and White Blend (predominantly red colour) (1), Straw Wine (1), Viognier (wooded) (1) and White Blend (1). Five renowned palates from around the globe joined the Veritas jury this year. Joe Wadsack, UK-based wine speaker and consultant, co-host of the British TV series BBC Food & Drink, International Wines and Spirit Competition Communicator of the Year title holder (2005 and 2016) and winner of International Wine Challenge’s Personality of the Year award; German Thomas Lüber, an independent wine consultant and importer of South African wines; food and beverage industry stalwart and co-founder of the Flemish sommelier organisation Guido Francque from Belgium; expert taster and seasoned judge, Janåke Johansson, a renowned importer of South African wines in Sweden; Cognac expert, Denis Lahouratate, Maître de Chai (Cellar Master) for the renowned Chateau Bisquit in Cognac, France. The entire judging process is independently audited by Deloitte. Wine lovers have the opportunity to sample the top-performing double gold and gold medal winning wines and brandies at country-wide tastings sponsored by Deloitte. The Veritas showcase tastings will take place in Cape Town (18 October), Johannesburg (25 October), Durban (10 November), Port Elizabeth (16 November) and Knysna (17 and 18 November). For more information, visit www.veritas.co.za or contact the Veritas office on tel 021 863 1599, e-mail info@veritas.co.za.